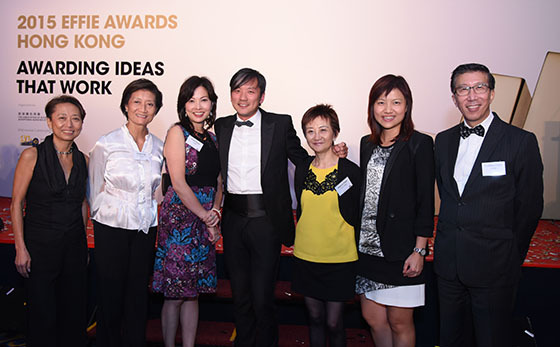 There were 18 trophies presented at the 2015 Effie Hong Kong Gala, including 1 Grand Effie, 3 Gold trophies, 5 Silver trophies and 9 Bronze trophies.The awards ceremony, held on September 10, celebrated the 2015 entries that have proven their marketing effectiveness. The campaign “Half A Dish” of Café de Coral, which was done by McCann & Spencer Hong Kong, won a Grand and Gold amongst 35 Finalists in the category. This campaign won the heart of the judges with its effective results and creative means. The campaign highlighted a benevolent cause to reduce food waste. The other two Gold Awards went to Volkswagen’s “Turning Probationary Drivers into Professional Ones” by DDB Hong Kong, and McDonald’s “Brand Recovery: Repairing a Relationship in 12 weeks” also by DDB Hong Kong. The agency DDB Group Hong Kong gained the most honors with 8 among the finalist shortlist, and Ogilvy & Mather Hong Kong was close behind with 5 honors. More information about the HK4As Effie Awards Hong Kong, organized by the HK4As, can be found here.